← LESS TALK AND MORE ACTION, PLEASE? It wasn’t meant to happen. It wasn’t in the script. Just eight runners and what many quite rightly described as looking like being a “lacklustre race”, at least on paper. And then magic struck along with its own form of neorealism. 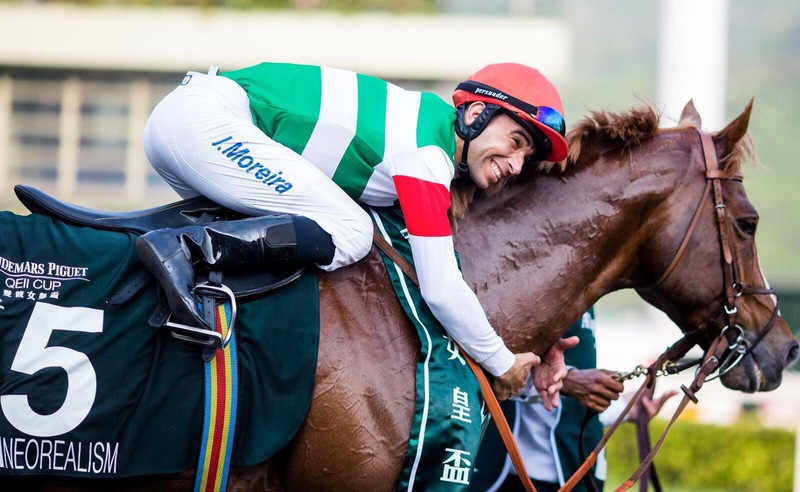 We’ve come to expect and now almost demand the extraordinary from Joao Moreira, and he continues to deliver. Over and over again. 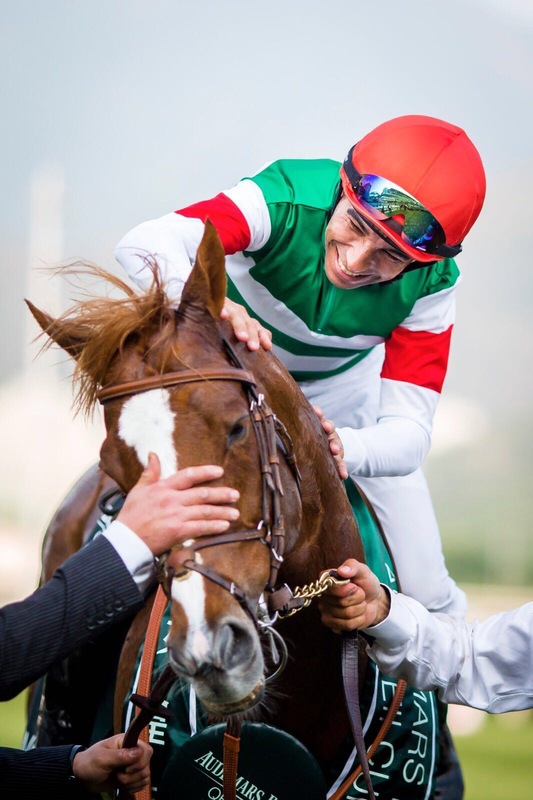 As if recently riding eight winners at one meeting wasn’t enough, the brilliant Brazilian horseman turned the running of the Group 1 $20,000,000 Audemars Piguet QE11 Cup on its head and did cartwheels across the turf. And by so doing, he turned “lacklustre” into something truly memorable and amazing. To those who were at Sha Tin yesterday, those who watched the show off course, Moreira’s decision to take off mid-race on the Noriyuki Hori-trained galloper Neorealism after a sluggish start, circle the wagons, and almost hear the voice of Frankie Laine burst through the skies singing, “Rolling, rolling, rolling” with the Stones interrupting with Jumping Jack Flash, was more than racing cliches like a “winning move”, or “taking the race by the scruff of its neck.” That ride elevated racing to another level. Gawd forbid to use the expression “viral”, but it would be no surprise for the 2017 Audemars Piguet QE11 Cup to be viewed again and again. After the races, it was all anyone could talk about. That and how there’s Joao Moreira and then there’s the rest. Earlier in the day, as part of his warmup act, he had, as expected, won the Group 3 Queen Mother Memorial Cup on John Moore’s Eagle Way. 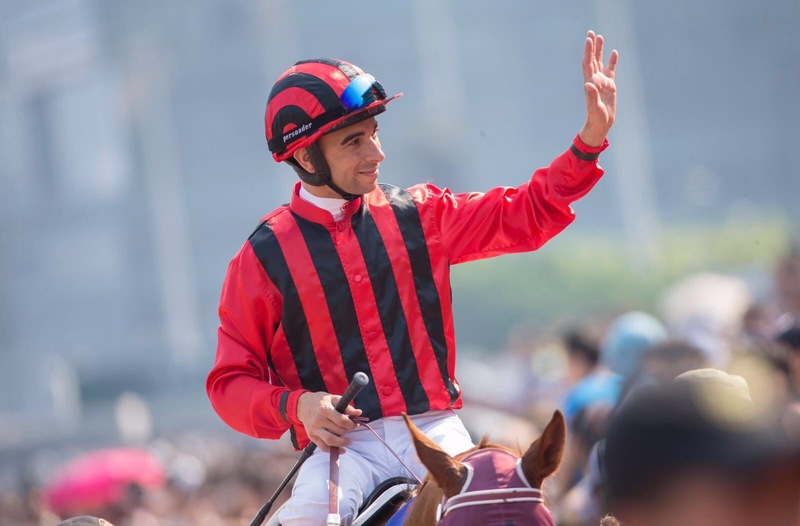 Again, Joao Moreira showed the widening gap between himself and the rest of the world team. The scary thing for the chasing pack: He’s actually improving. But that’s the magic of the man: His greatest competitor is himself. Who else is there around today to take him on? He wants to continually improve and push, not just the envelope, but the entire creative envelope. The whole enchilada. 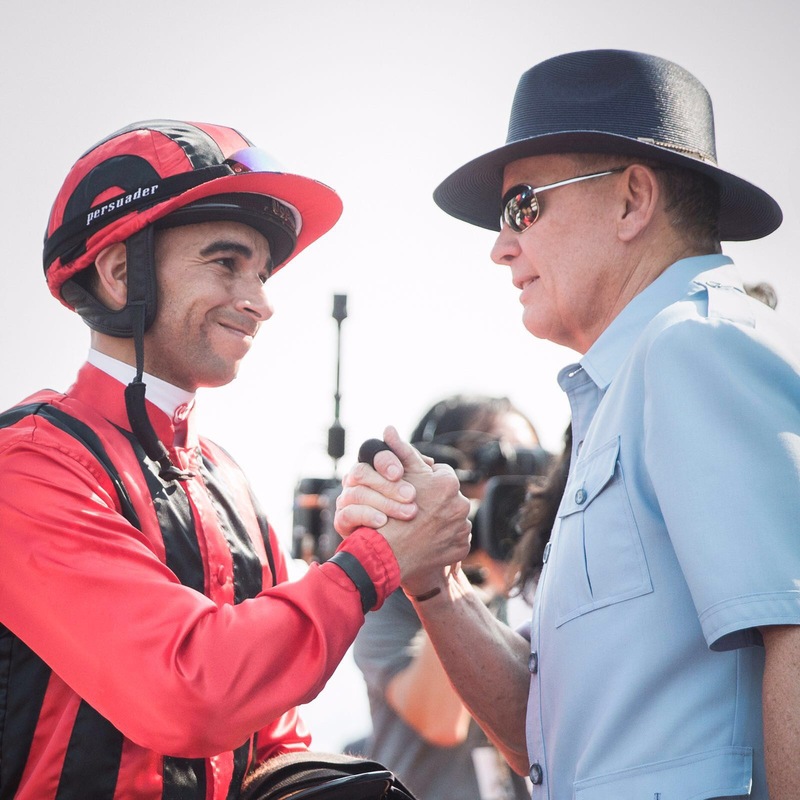 Joao Moreira is a creative rider- a horseman blessed with natural talent, and who keeps raising the bar, and by so doing, has changed, and keeps changing, the face of horse racing. We have recently seen incredible wins from such magnificent equine talent as Arrogate, Chautauqua and Winx. 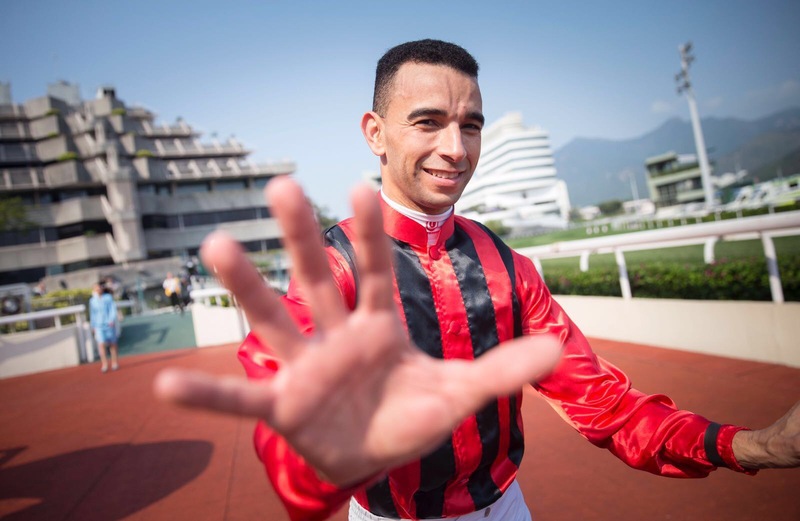 Yesterday at Sha Tin, we watched in awe as a humble man named Joao Moreira became the Fangio, Ayrton Senna, Michael Schumacher and Lewis Hamilton of horse racing aboard a horse from Japan named Neorealism. 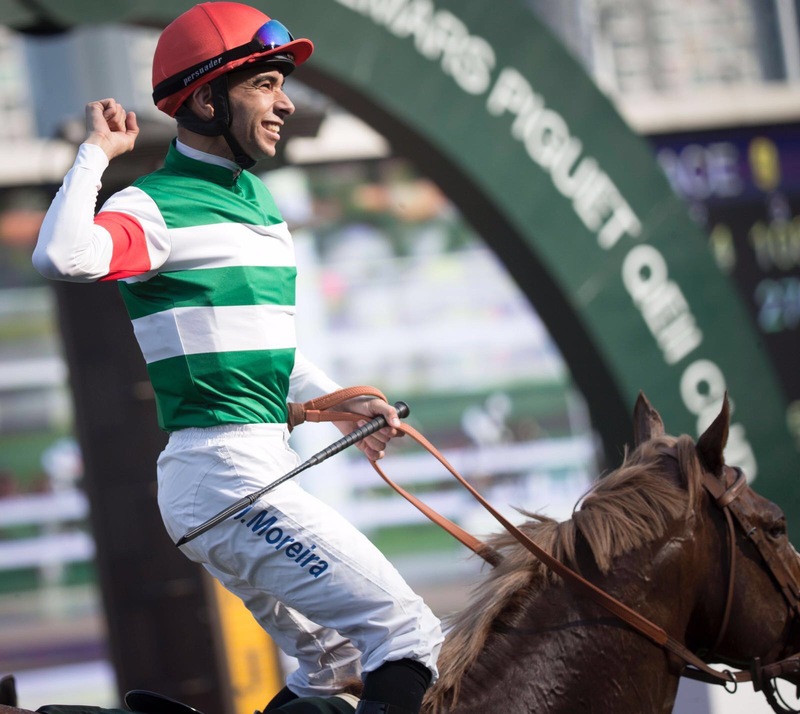 Yes, Hong Kong’s Pakistan Star ran a brilliant race to come second, but he came up against someone better and in full flight: Joao Moreira. Some are born to run. Here’s someone who was born to win wherever he goes. The racing world is not only his oyster, it’s his sushi and sashimi platter with some tempura prawns and yakatori on the side. And if sponsor Audemars Piguet, we’d be rushing out The Neorealism Collection. It could very quickly be a collectors item. @Racingb_tch Sublime stuff. God bless him. This entry was posted in Hong Kong Jockey Club, Hong Kong Racing, Horse Racing, JOAO MOREIRA, JOHN MOORE, The horse racing industry and tagged Audemars Piguet QE11 Cup, Audemars Piguet QE11 Cup 2017, Eagle Way, Eastern Express, Joao Moreira, John Moore, Neorealism, Noriyuki Hori, Queen Mother Memorial Cup, Sha Tin, Sha Tin racecourse. Bookmark the permalink.